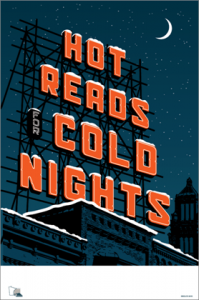 Lake Agassiz Regional Library is thrilled to invite it’s reading public to participate in Hot Reads for Cold Nights, an annual winter reading program for adults. The LARL program rules are simple: read or listen to four books, audiobooks, eBooks, or eAudiobooks for a chance to win prizes. The program will begin on Monday, January 2 and end Tuesday, February 28. All of LARL’s 22 locations are offering this reading opportunity. Prizes include mugs, totes, calendars and more! 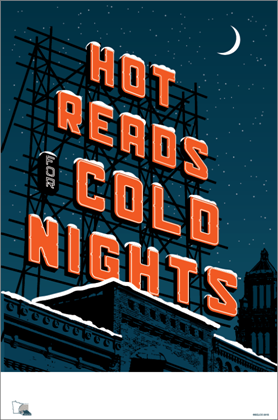 This entry was posted in Regional News and tagged hot reads, hot reads 2017, LARL, SELCO, winter reading program. Bookmark the permalink.